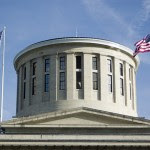 What’s in the news about Ohio? More on this state’s politics with a Statehouse News Bureau and Dayton Daily News Reporter. I am currently living at Faith Mission, 315 E. Long Street, Columbus, Ohio. Last night, a doctor came in to discuss a plan he was trying to 'sell" to the homeless women staying there. This plan, which a small foreign doctor was perpetuating, required that people be disabled for a full two years first - and this plan is being provided by Ohio Health. This plan sounds like a scam and seems to be needed not at all. People are already supposed to have health care, also, I was told in regard to. At Faith Mission last night, this aforementioned 'sales talk' was the topic in an all house 'community meeting'. I think this situation, which is probably another drain on tax dollars or substantiation for embezzlement again, needs to be investigated.